Ho-Ho-Ho! 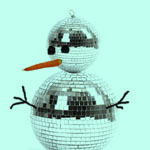 Interdisco-Santa places a very special present under your digital christmas-tree: the “Winterdisco 2” compilation. Compiled with love from us for you. From cosy christmas feelings to new years eve euphoria, not without the abysm in between or after. – A concept-album about snowflakes and bells, about the freezing cold and the pulsative heat. At the same time, it’s a glimpse into 2008, where we will celebrate our 5th birthday, with releases by new and old Interdisco artists and with anniversary surprises you can touch. Ho-Ho-Ho! Der Interdisco-Weihnachtsmann legt euch ein ganz besonderes Geschenk unter den digitalen Weihnachtsbaum: die “Winterdisco 2” Compilation. Zusammengestelt mit Liebe von uns für euch – von weihnachtlich-schnuffig bis silvestrig-euphorisch, nicht ohne die Abgründigkeit dazwischen und danach. ein Konzept-Album, sozusagen, über Schnee und Glöckchen, über klirrende Kälte und pulsierende Wärme – und ein Ausblick aufs Jahr 2008, in dem wir unseren fünften Geburtstag feiern werden, mit Releases von neuen und alten Interdisco Artists und Jubiläumsüberraschungen zum anfassen. I’m at home listening to this type of music. All I can think of bells and other instruments. It sounds more like Christmas music, than Electronic music. I love this type of music, because of the rhythmn and lyrics. This is the best music I’ve ever hear before! Please issue me some more of this music and updates!